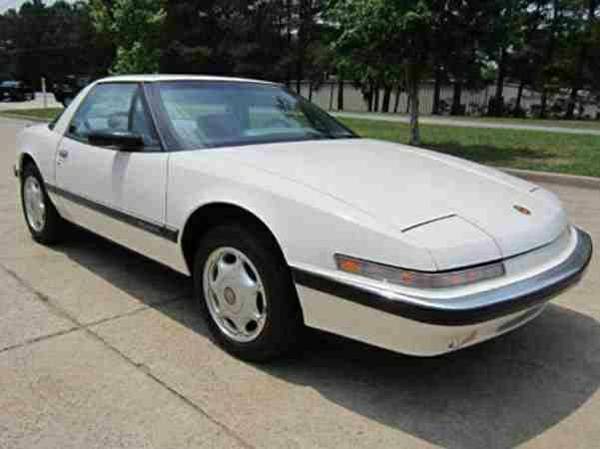 In the mid-1980s, when Buick was actually turbocharging their Regal coupe at various levels, they decided to develop their interpretation of a sports car. While they ultimately failed at creating a sports car, they did create a sufficiently attractive luxury coupe powered by the 3800V6. It was built with an unusual level of assembly by hand, where a team would work on one assembly, and robots would then move the car to the next craft station – for 1991, the owner even received a special sleeve containing the manual, signatures from the supervisors at each craft station, and a pen, flashlight, and tire gauge. Early cars also came with an innovative touch screen control for the radio, climate control, trip computer, and and more. However, by the time the car came out, GM had decided Buick was going to focus on older buyers, and as such, the sports never made it into the car, and the touch screen was dropped for the later model years. 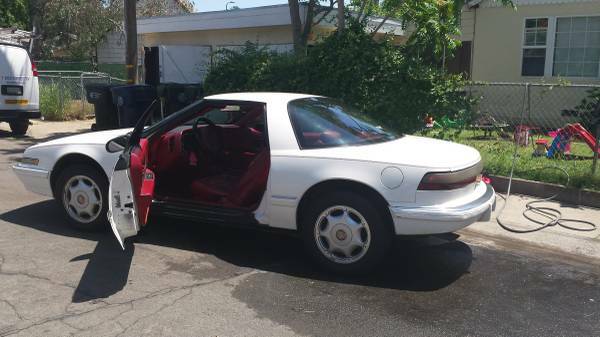 You can find this one-of-1241-built 1991 Buick Reatta for sale in Fairfield, CA for an unstated price, or a couple of 26″ wheels and “some $$$”. Ordinarily, cars with no price are not featured here, but you have to make an exception for this competitor to the Chrysler TC by Maserati and, uh, well, that’s it. You might say it’s neither fish nor fowl – looks like a sports car but doesn’t drive like one, drives like a family car but can’t hold a family. What it is, though, is a decent driver for the daily grind – soft, comfortable seats, decent air conditioning and heat, and an automatic with torquey engine (hmm, does the supercharger found on other GM 3800 engines fit on this?). And being the last year, this car benefits from slightly more power (170hp, 220lb.-ft. of torque), as well as new 16″ wheels, Twilight Sentinel automatic lighting, and best of all, a cupholder! 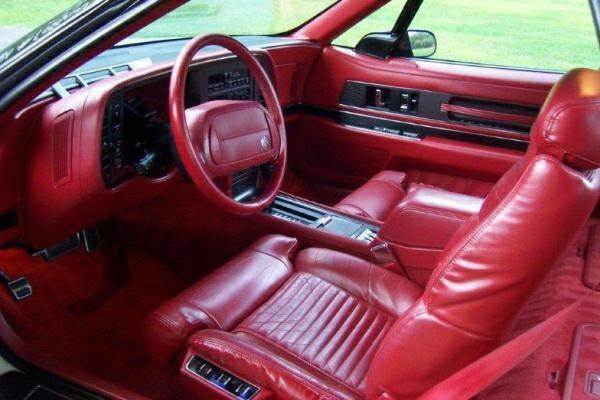 This interior will make you feel as if you’re in a bordello, except only one lady will fit with you in the car. By 1990, the dash contained a conventional climate control system and radio which, while less creative than the original solution, is probably more reliable and less dated-looking 23 years on. This particular car is in very nice shape, and is said to have around 30,000 miles on a rebuilt engine, though total mileage is not given. Overall, the car looks to be in immaculate shape. As with any low-build car, there are sellers who have delusions about the value the rarity of their cars confers, so you’ll probably want to come prepared with some comparables in case this is one of those. For the money, though, this might make a unique daily driver of which your grandparents will approve. This entry was posted on June 20, 2014 at 12:00 pm and is filed under Feature. You can follow any responses to this entry through the RSS 2.0 feed. You can leave a response, or trackback from your own site. I like these, they use a Riviera chassis and drive pretty much the same. I’m fairly sure a supercharger from a near year Park Ave. Ultra wouldn’t be much trouble to add but truthfully they’ve got enough power as they sit and the supercharger really hurts the gas mileage. The convertibles are really nice but they don’t seem to be all that cheap. I really like the way these things look, but the fact it is a front wheel drive is a deal breaker to me….